Wednesday saw the arrival of our international friends from distant China! 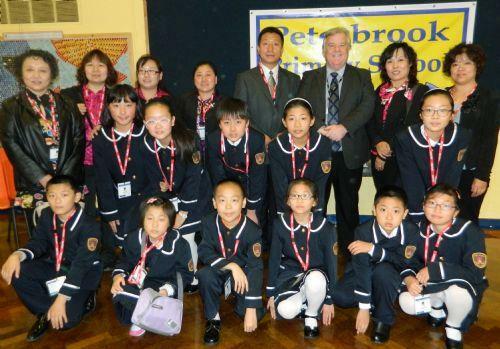 Eleven students aged 9-12 years and 7 teachers (including Headteacher Madame Zhang) came to our school to further develop the international links we have between our pupils and our teachers and to also experience the excitement of a new and totally different curriculum to our own. 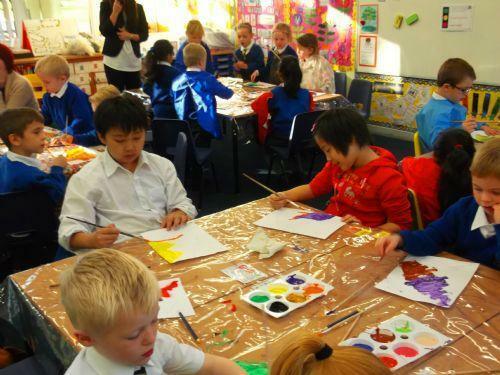 The visit was a total success as it saw Peterbrook and AnZhen pupils working together in a variety of curriculum subjects and joint activities involving ages ranging from Year 1 to Year 6. 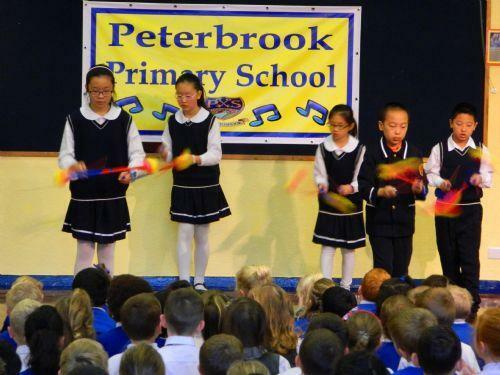 In addition to this we shared together a wonderful morning of international performing arts as we saw our guests perform on a variety of musical instruments as well as presents wushu martial arts, yangko dance and huagun juggling. 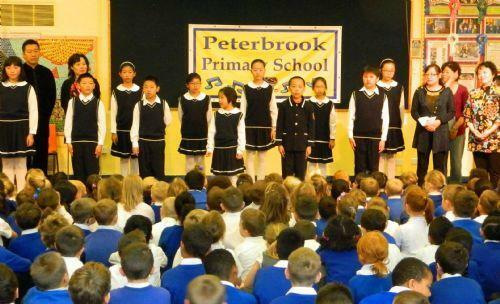 Add to this poetry recitals and singing from our guests and you can imagine how nervous the Peterbrook Choir were when it was their turn to reciprocate! 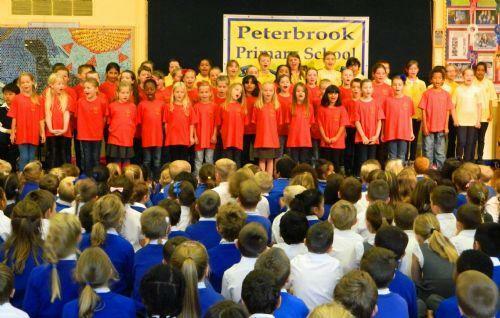 They need not have worried as our choir presented an excellent medley of pop songs! 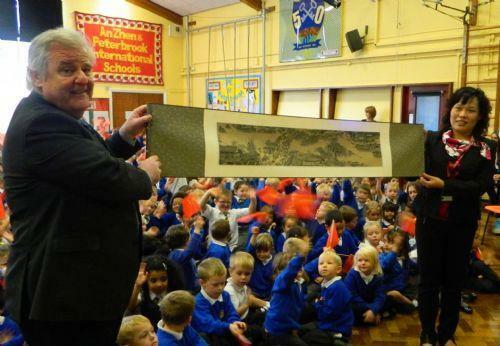 The three day visit saw our guests having tasty school lunches with our pupils; they played together happily outdoors and they engaged in a variety of Chinese workshops and National Curriculum lessons. All too soon it was time for our guests to journey back to Heathrow for their flight to China. Looking forward, we have been invited to take pupils to Beijing in May 2015 to engage in a variety of sporting activities: football, netball, basketball and cheerleading. It is our hope that our international friendship will continue to grow from strength to strength for the benefit of our pupils as they grow up in an ever shrinking world and within a global economy.